With her experience in corporate bankruptcy, Nella Bloom advises clients on the best way to start businesses to avoid problems in the future. Through negotiations and litigation, she contributed to the rejuvenation of real estate in Philadelphia. 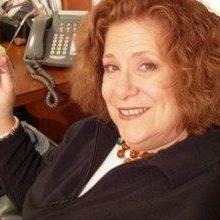 Ms. Bloom studied at Syracuse University College of Law, where she served as lead articles editor to the Syracuse Law Review. Based in the heart of Armory Square in New York is where you will find the talented and experienced Melody Scalfone. Specializing in real estate transactions, business development, and advising in regulatory compliance, Melody Scalfone has been attributed to being very knowledgeable and helpful with issues involving environmental impact in relation to housing development. "Melody has been very efficient and quick. Perfect !" 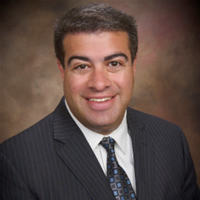 Rabeh is the managing attorney and founder of the AXIS Legal Counsel. 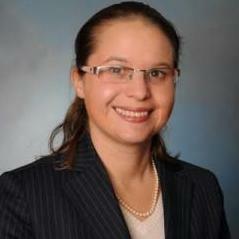 She developed world-class legal skills at a national law firm and is often hired for her unique practice philosophy. The legal community sees her as an aggressive attorney with a solutions-oriented approach to legal engagements. 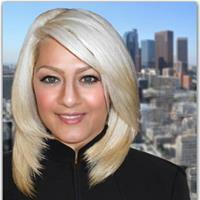 She has represented clients around the US and from over 17 countries internationally. 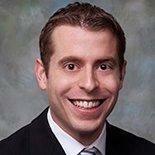 Kevin Christopher is an intellectual property attorney with a particular interest in startup companies. He has extensive experience in the technology, business and art industries. Kevin is licensed to practice law in Tennessee and is also a member of the Tennessee Patent Bar. He obtained his Juris Doctor in law from the University of California, Hastings College of the Law. Kevin founded his own legal firm, Christopher Intellectual Property Law, PLLC, in December 2016. "Mr. Christopher was professional, but also personable. He helped me to understand my rights as a copyright holder and how best to pursue ..."
Brett Jackson is a business lawyer who has been providing his legal services to corporate clients for more than a decade. He has been licensed to practice law in California and obtained his J.D. degree in law from the Stanford Law School. Brett is exceptionally experienced in providing his legal assistance to startup companies and entrepreneurs. He often assists with drafting, negotiating and reviewing commercial contracts. Brett founded his own private legal practice in 2017. "Brett has helped me with employment contracts for multiple startups. He was knowledgeable, responsive and helpful. I wouldn’t hesitate to..."
Stephanie Cooper has been a corporate attorney for more than 30 years. She is based in New York, but is also licensed to practice law in Connecticut. Stephanie has exceptional experience in copyright and trademark laws, but can provide corporate clients with assistance for any legal matters. She received her J.D. degree from the Benjamin N. Cardozo School of Law. Since January 2001, Stephanie has been operating as the principal of Cooper & Associates. "Ms. Cooper and her staff were instrumental in helping me to develop my exit strategy from my former employer. They provided me with thoro..."
Why use UpCounsel to hire a York Non-Profit Attorney? On UpCounsel, you can find and connect with top-rated York non-profit attorneys & lawyers that provide a range of non-profit law services for startup non-profits to more seasoned non-profits around the city of York. Any of the top-rated York non-profit lawyers you connect with will be available to help with a variety of your non-profit legal needs on-demand or on an ongoing basis. From the forming of a non-profit organization to obtaining tax-exempt status from the IRS, to complying with federal and state laws governing fundraising and operations, the advice of experienced York non-profit attorney is crucial throughout each stage of your non-profit’s growth. Whether you are forming a 501(c)(3) or 501(c)(4), you can easily hire an experienced York non-profit lawyer on UpCounsel for your on-demand or ongoing non-profit legal needs today. Improve Your Legal ROI with Affordable Non-Profit Attorneys that service York, SC. Want to Connect with Top York Non-Profit Attorneys & Lawyers?